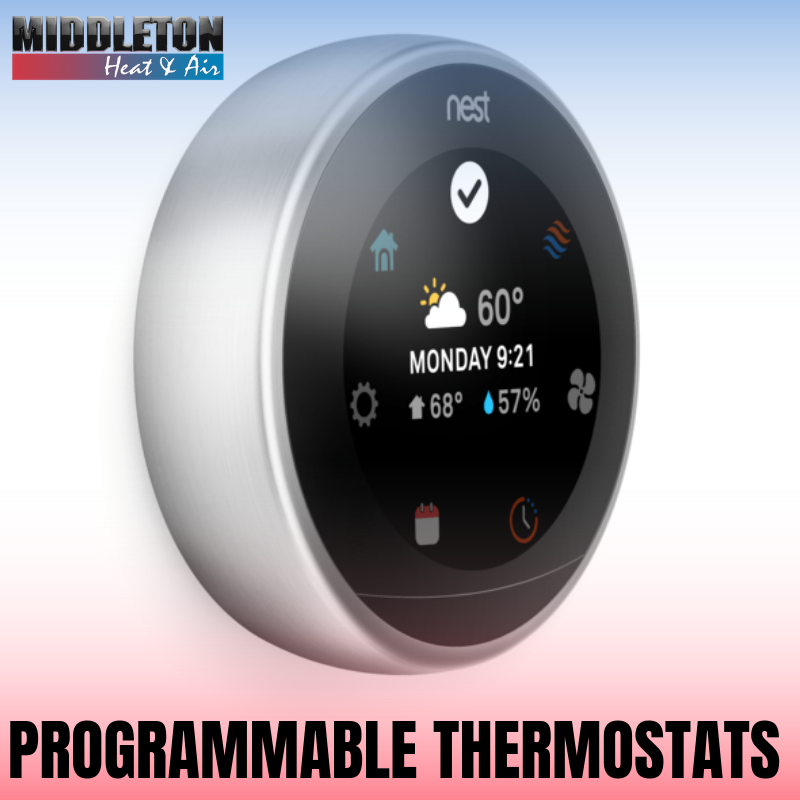 Programmable thermostats are becoming more and more popular, and with good reason. Since 2011, the Nest Learning Thermostat has saved over 4 billion kilowatts of energy in homes worldwide. Independent studies show that it saved households an average of 15% on cooling bills. The professionals at Middleton can install one in your home just in time for spring’s warmer temperatures. The Nest Learning Thermostat only takes a week to catch on to your temperature preferences, and continues to adapt as the seasons change. If you prefer warmer temperatures in the morning and cooler temperatures at night, the thermostat will schedule those changes at specific times. When nobody is home, it even sets itself to an Eco Temperature to save energy. You can view your Energy History each day, and track how much energy was used monthly in your Home Report. This allows you to see when you use the most energy, like on Saturdays each week, and learn ways to use less over time. The Leaf icon will appear on your Nest Thermostat when you change the temperature to save energy, and shows up at different times for each unique household. The Nest Learning Thermostat doesn’t just learn and adapt to your schedule, but it also monitors your system. If temperatures are so cold that a pipe could possibly burst, or if it seems like your furnace is acting up, the Nest Thermostat will alert you. You can also check your home’s temperature no matter where you are with the Nest app. Learn more on our website.